In 1971 The Women’s Home established a resale store in the Montrose neighborhood that now shines as one of Houston’s brightest lights. 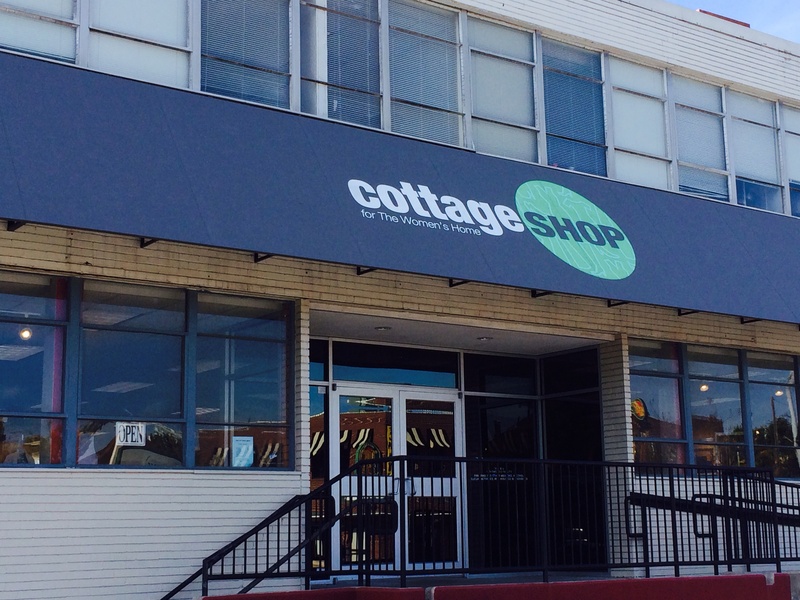 The Cottage Shop is one of our community’s premier resale stores. It also serves as a training center for residents of The Women’s Home as they conquer the crises in their lives that led them to the agency. My wife, Natalie, and I were so impressed with The Cottage Shop that we commissioned paintings to be placed on the exterior front and rear of the store. We wanted the artwork to be a symbol of The Cottage Shop’s vibrant programs and to help raise the visibility of the building. We asked artist Homer Allen to create the paintings and he came through with works of art that perfectly illustrate the Shop’s impressive record of success. 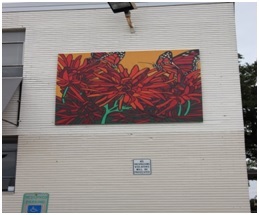 The paintings feature monarch butterflies rising from orange chrysanthemums. Homer used the butterfly to symbolize the evolving nature of The Women’s Home over the past half century. The butterfly’s flight from the flower also symbolizes residents graduating from the Home’s programs. Homer’s brilliant paintings are done with waterproof enamel on recycled billboards. The works can be displayed indoors or outdoors and will remain a permanent part of The Cottage Shop’s exterior. Natalie and I couldn’t be more pleased with the paintings. The Cottage Shop generates 20% of The Women’s Home revenues. We believe the paintings will draw more people into the Shop and perhaps help increase revenues to fund the Home’s programs for women in crisis. The welcoming front door of the Cottage Shop, 811 Westheimer, Houston, TX 77006. Open Monday through Saturday, 10:00 am – 4:00 pm. Donations accepted Monday through Saturday, 10:00 am – 4:00 pm. 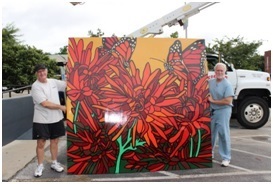 Artist Homer Allen and Dr. Steven Curley pose with one of the photos donated by Dr. Curley to hang on the Cottage Shop exterior.